Who is Matthew Whitaker, the new acting attorney general? President Trump announced Wednesday that Jeff Sessions had resigned as attorney general and will be replaced by Matthew Whitaker, who had been Sessions' chief of staff at the Justice Department. Whitaker will also replace Deputy Attorney General Rod Rosenstein in overseeing special counsel Robert Mueller's investigation into Russian interference in the 2016 election. "We are pleased to announce that Matthew G. Whitaker, Chief of Staff to Attorney General Jeff Sessions at the Department of Justice, will become our new Acting Attorney General of the United States," Mr. Trump tweeted. "He will serve our Country well." Mr. Trump added that a "permanent replacement" for Sessions "will be nominated at a later date." Sessions resigned at Mr. Trump's request. 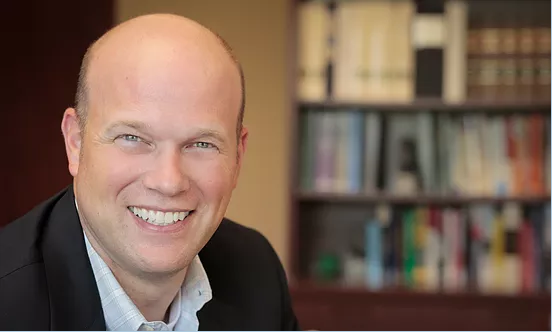 From 2004 to 2009, Whitaker, 49, served as the U.S. Attorney for the Southern District of Iowa. He then ran for the Republican nomination for U.S. Senate in 2014, but finished well behind Joni Ernst, who went on to win the seat in the general election. Before his political career, Whitaker attended the University of Iowa for college, business school and law school. He was also an accomplished member of the Hawkeyes football team, and played in the 1991 Rose Bowl. Whitaker was hired by Sessions to be his chief of staff in September 2017. The month before, he wrote an opinion article for CNN criticizing Mueller. "It is time for Rosenstein, who is the acting attorney general for the purposes of this investigation, to order Mueller to limit the scope of his investigation to the four corners of the order appointing him special counsel." In 2016, Whitaker wrote an article for USA Today arguing that the Justice Department should indict Hillary Clinton. Last month, Mr. Trump was asked about Sessions' future. The president dodged that question, but he did single out Whitaker for praise. "Well, I'd never talk about that, but I can tell you Matt Whitaker is a great guy," he said.